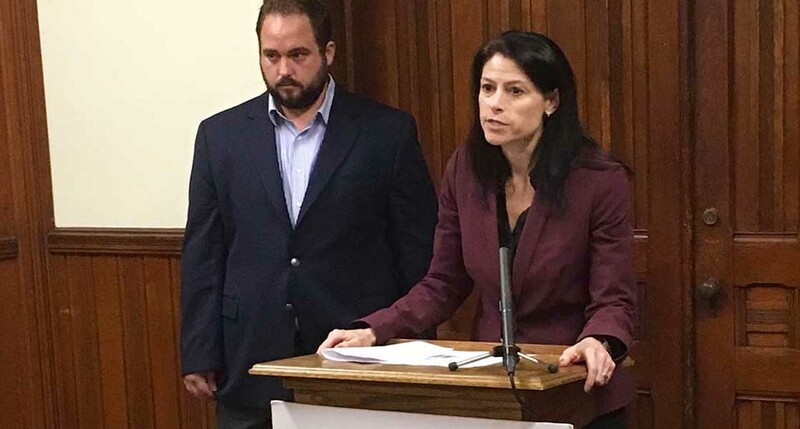 Attorney General Dana Nessel is moving to drop Michigan from four lawsuits her predecessor joined against federal Environmental Protection Agency air regulations. Limit methane emissions from oil fields that are linked to climate change. “Michigan will not be a party to lawsuits that challenge the reasonable regulations aimed at curbing climate change and protecting against exposure to mercury and other toxic substances,” Nessel said in a statement. President Donald Trump has since sought to undo Obama’s regulations, complicating the litigation. Environmental advocates applauded Nessel’s move. “Michigan never had any business joining coal companies in suing the federal government over policies that protect our air and water from dangerous pollution,” Lisa Wozniak, executive director of the Michigan League of Conservation Voters, said in a statement Tuesday. In contrast, Schuette called the Obama-era regulations “job-killing,” unconstitutional and overly expensive and burdensome for industry. Schuette’s involvement in the lawsuits became an issue in his unsuccessful gubernatorial campaign against Democratic Gretchen Whitmer, as critics alleged he was protecting polluters. Schuette was the lead plaintiff in a case challenging Obama’s mercury and air toxics rule, petitioned the U.S. Supreme Court on behalf of Michigan and 20 other states without the support of then Gov. Rick Snyder, a fellow Republican. A year later, the U.S. Supreme Court ordered EPA to reconsider the rule because it had failed properly to weigh the costs of the measure versus its benefits. But in 2016, the high court declined to intervene in a lower court ruling in the case that upheld EPA standards. By that time, Michigan’s utilities were already shutting down coal plants and turning to cleaner sources of energy. Nessel’s move comes as Michigan is rapidly shifting away from coal-fired power, a fuel that once dominated the state’s energy mix. In 2016, coal-fired plants provided just 36 percent of the state’s electricity, down from about 50 percent two years before. Since 2010, Michigan utilities have retired at least 26 coal generators at 15 power plants, according to a Bridge analysis. Great, keep up the great work. MI has lots to gain with a strong EPA. Just look at some of the most valuable assets we have. Clean water and clean air, and a healthy population, Pure Michigan! rules that Bill Schuette previously challenged. of the rules or to author Nessel's own briefs in defense of the rules. take any such affirmative litigation action to defend the 4 Obama-era rules. Doing so would take additional moves and initiatives not yet announced by AG Dana Nessel. ACG. The worst was Senator Levin's energy staffer who swore that CO2 is 40% of the atmosphere. A notable quote from the past chair of the US House energy committee, Henry Waxman, was "I don't care if trees need CO2-we need to get rid of it". These are the none scientific people making decisions for us. I do have multiple science degrees and I encourage you all to read both sides of the issues and then have an informed opinion. Good for her. Without the EPA, our world would fall to ruin. Democrats will bring about some much needed common sense. The people of Michigan have sent a very big message to Lansing.